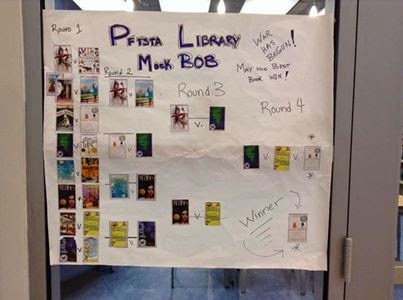 Last year my school participated in the School Library Journal sponsored Battle of the Kids Books. Any school or library or anyone can participate, but SLJ highlighted my school online as we put on an all out battle to the death among the 16 books. It was a blast, and both the middle school students and high school students really got into it. This year we have started slow, and I am waiting for copies of all the books to arrive after ordering them last week. Today as I was reading the February 2015 issue of SLJ, I found a mention of my school library and myself concerning our participation in the BOB for 2014. That was a nice surprise. Next post the brackets, set up a timeline, figure out a way for the students to participate, and then let the battle begin. I think this year we might go more low key with our battles. 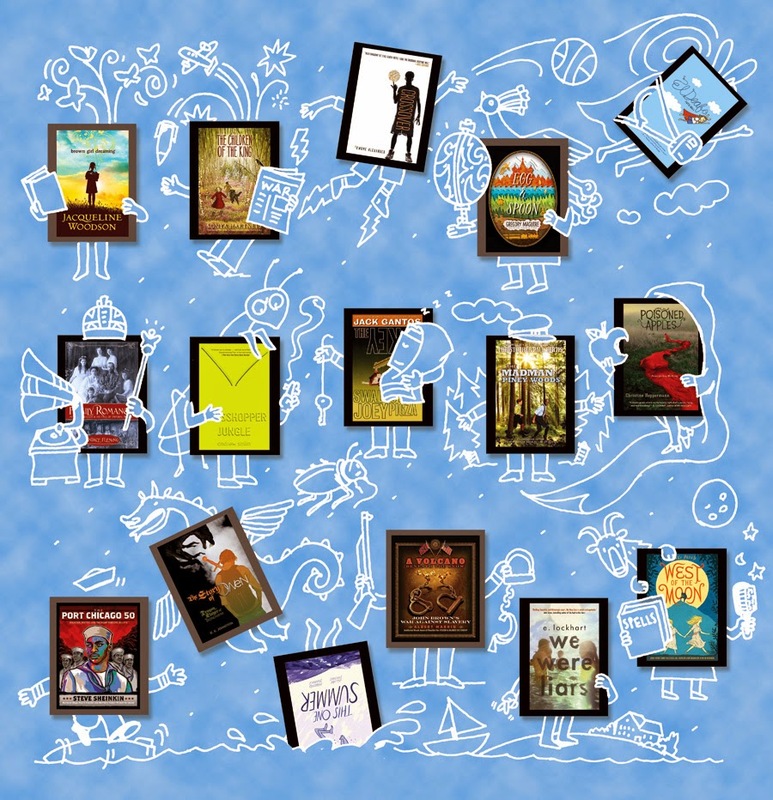 I am going to set up a display in the library, ask the students to write a blurb about why their selected book should win, and let all who enter the library cast their vote. Our debate style of presentations were scheduled during lunch last year, but it took two weeks just to get through round one. It was over a month from start to finish. I am happy to say that I found all of the books in the battle had a surge in circulation during and after the battle period. That is one of the main reasons for conducting BOB anyway; to get kids reading!